Stefan Savides is "The Birdman." His life is simply about birds and art. He is one of the blessed few who have never worked a day that he was not recreating birds in one form or another. This multitalented artist, from a young age, has completely supported himself through his life with taxidermy, painting, carving, and sculpting of birds. Stefan’s early fascinations with the avian world lead him to learn taxidermy at the young age of twelve. He was a natural! By age sixteen he was instructing adults in a night school setting and went on to establish a thriving career in taxidermy by age eighteen. His passion and dedication gained him a respected international reputation in avian taxidermy. 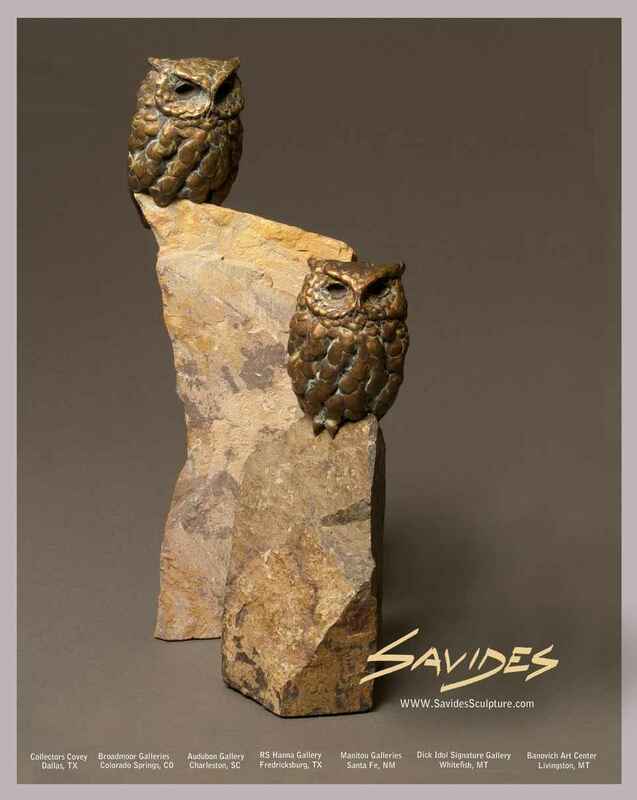 Sculpting in bronze is a natural progression for Stefan, as it is an avenue which provides him an opportunity to express his art and knowledge of avian anatomy. Fifty years of intense study of birds coupled with a flair for simplistic, elegant design equates to renderings that capture the essence of his subjects in tasteful clean works of art. His work is to the point, without the distraction of overbearing detail. He has made birds his life and his work simply speaks of it!